2. Hot and cold water lines and pull out side sprayer head are not included. 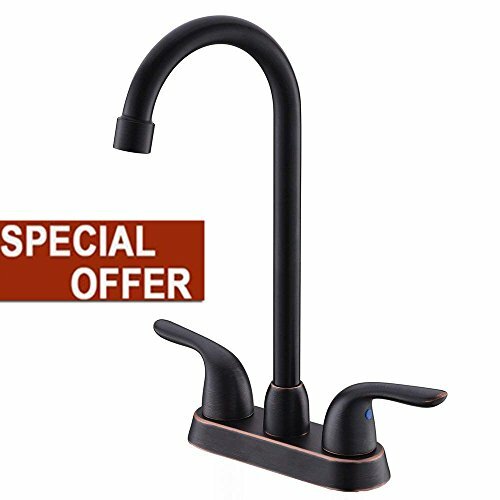 NOTE: If you have any problem with the faucet or during installation,please make sure to contact us by amazon email. We are very pleased to help you,thanks. Overall height:11.7"; Spout Height:8.6"; Max Deck thickness: 2.2". Oil Rubbed Bronze finish with solid brass construction for ensures durability and longer life. "High-arch spout and 500,000 cycles testing passed ceramic cartridge. " Hassle-free life time parts replacement warranty and 100% Money Back Guarantee within 3 months. If there is any problems, please kindly feel free to contact us without hesitation, and we will try our best to solve your problem, thanks! If you have any questions about this product by VALISY, contact us by completing and submitting the form below. If you are looking for a specif part number, please include it with your message.